Delphin H. Greene (1935-1992) was a policeman, community activist, and longtime resident of the Cambria Heights neighborhood of Queens. Born in Brooklyn in 1935, Greene served in the United States Army and received an honorable discharge in 1961. He then joined the New York City Police Department, reaching the rank of detective and serving in a number of different units including Narcotics and Homicide. Greene, his wife, and their three children moved to Cambria Heights in 1967. Shortly after his arrival there, Greene became a community activist. He was a founding member and President of the Douglass/King Regular Democratic Club, managed the Cambria Heights Little League and also joined the Cambria Heights Kiwanis Club for 16 years, serving as president in 1983. Stories vary as to the origin of the name “Cambria Heights.” One idea attributes the name to a coal company based in Cambria County, Pennsylvania, but other accounts are based on a supposed Cambria family. Nevertheless, it is easy to understand how “heights” came into the name: the area is the third-highest elevation on Long Island at roughly 50 feet above sea level. Cambria Heights was originally within the St. Albans community, part of a 1655 land grant from Peter Stuyvesant (1610-1672), Director General of New Netherland (as New York City was then known). The entire area consisted of farms, marshlands, and forests. In 1900, agriculture was still the basis of the local economy and large farms covered most of Cambria Heights, producing vegetables for sale in the Wallabout Market in Brooklyn. At that time the area had only two roads: Central Avenue, which is now Linden Boulevard, and Springfield Boulevard. During the early 1920s, Brooklyn-born Oliver B. Lafreniere began to develop a 163-acre parcel of land assembled from three large farms. He was the owner and operator of a real estate and insurance business in East New York. Lafreniere’s development was one impetus to settlement in Cambria Heights, however, the building of the Belt Parkway (opened 1940) made it one of the fastest-growing areas in Queens. As the community developed, residents organized the Cambria Heights Civic Association of St. Albans in the mid-1930s to push for new firehouses, schools, transportation, and mail service. By 1945, almost 5,000 new homes dotted the landscape. After World War II, Cambria Heights, like the larger neighborhood of St. Albans, attracted large numbers of African Americans, including jazz pianist Chick Corea and jazz saxophonist Paul Gonzalez. The City of New York acquired this playground, which is jointly operated by Parks and the Board of Education, on January 11, 1949. Originally named P.S. 176 Playground after the adjoining school, local law renamed it in honor of Delphin Greene in September 1992 and dedicated it on May 22, 1993 “in recognition of his leadership and generosity to this community,” as the commemorative plaque states. 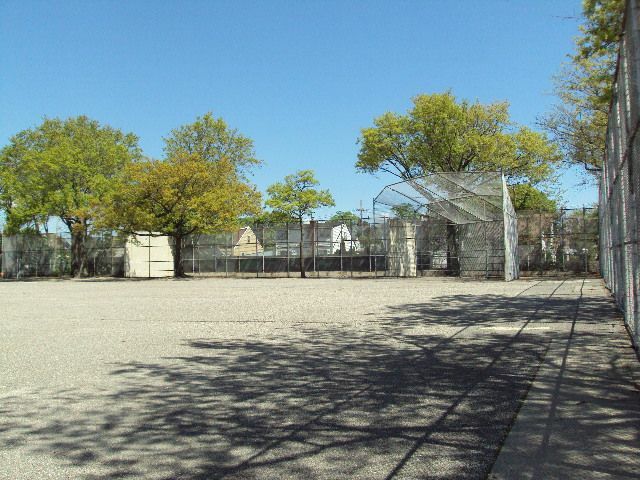 Located north of 121st Avenue, west of 237th Street, east of 235th Street and south of 236th Street, the playground contains benches, play equipment, a flagpole with a yardarm, two basketball half-courts, and a comfort station. 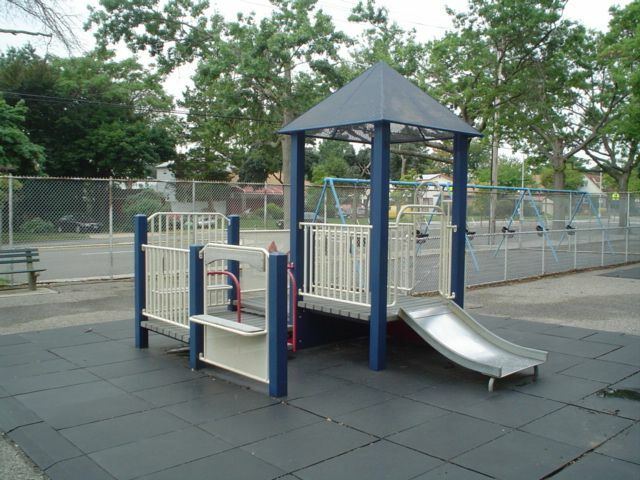 In 1997, Mayor Giuliani allocated $60,000 for reconstruction of the play equipment and installation of safety surfacing.